We're excited to announce that our Inaugural Vineyard Tour & Wine Tasting will be Saturday, November 24th from Noon to 1:30pm at Jester King! 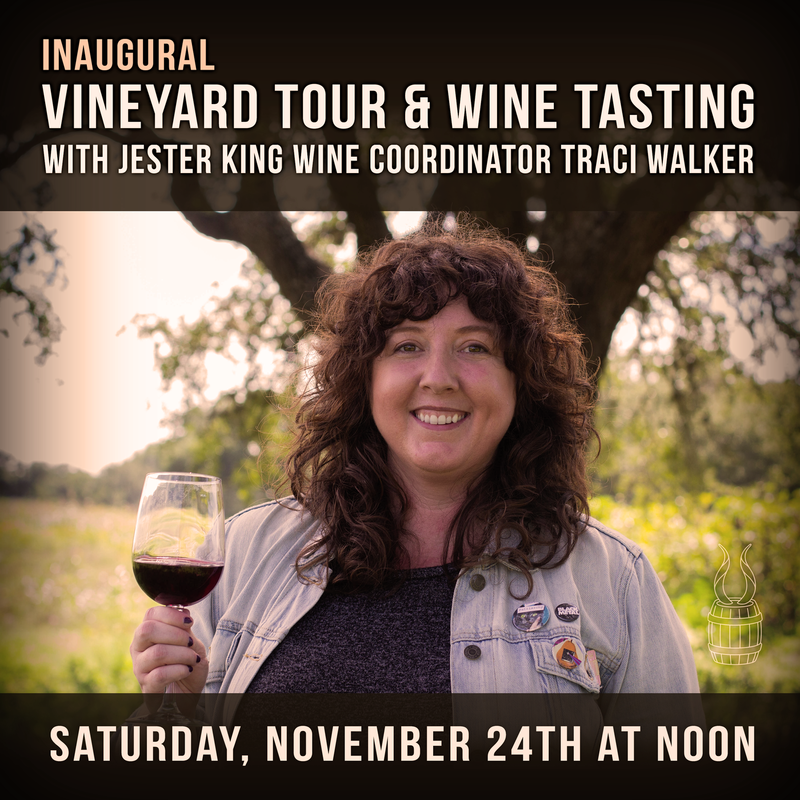 Jester King Wine Coordinator Traci Walker will lead guests on a private tour of our 3.5 acre vineyard, followed by a guided tasting of some of Traci's favorite natural wines! - The tour will begin with a trip to the vineyard, then progress through Jester King's brewhouse & fermentation hall, barrel room, and coolship loft. - After the tour, guests will join Traci in a private outdoor space (weather permitting) on Jester King's grounds for a guided wine tasting including accompaniments from the Jester King kitchen. We hope you join us for the inaugural version of this unique and fun event! Cheers!